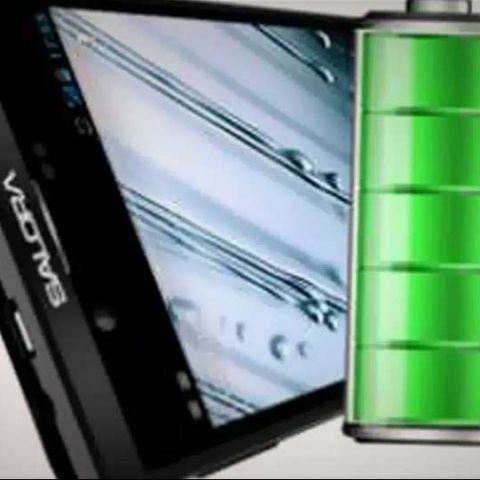 Here's an ICS-based dual-SIM smartphone that comes with a powerful 3200 mAh battery. Other specs of the device called POWERMaxx include 1 GHz Cortex-A9 dual-core processor, 512 MB RAM, 8 MP rear camera and 1.3 MP front-facing camera. 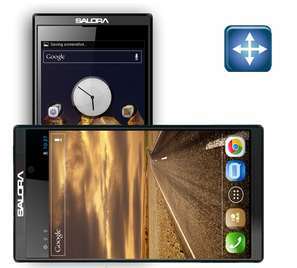 Salora International Ltd. has introduced a new Android-based smartphone called POWERMaxx. Priced at Rs. 15,999, the POWERMaxx comes with a massive 3,200 mAh battery, which is rated to deliver 22 hrs of 3G talktime, 42 hrs of playing music, 10 hrs of playing video and 11 hrs of 3G networking. The POWERMAxx features dual-SIM (3G 3G) support, a 11.4-cm (4.5-inch) IPS LCD display with a resolution of 960x540 pixels, and is powered by a 1GHz Cortex-A9 dual-core processor coupled with 512MB of RAM. It bears a 8MP rear camera and 1.3MP front-facing camera, 4GB built-in storage and expandable storage up to 32GB. The device runs on Android 4.0 Ice Cream Sandwich OS, but is upgradable to Jelly Bean.